When it comes to Sly Stallone he’ll forever be known for two roles; Rocky Balboa and John Rambo, which are two of the most iconic film characters. Stallone had a slew of hits through the 80s and into the 90s, but like many actors he started to fade a bit. A lot of his films in the late 90s into the 2000s failed to get much interest and it seemed like Sly’s best days were behind him. In 2006 Rocky Balboa was released and at the time Sly was 60-years old and the jokes started. Even I had my doubts if Sly could pull it off. After the release for Rocky Balboa nobody was making jokes as Stallone proved age ain’t nothing but a number. Two years later the 4th Rambo film was released simply called Rambo and once again Stallone showed us age doesn’t mean anything. Stallone is one of my favorite action heroes and I could even make a case for him being my favorite. In an age when most action stars lack, Stallone shows them how it’s done. Rambo in my opinion is amongst the greatest action films ever made. I love action films, but since the Michael Bay era it seems the great ones are few and far between and more filmmakers should follow what Stallone did with Rambo. This was also the first Rambo film directed by Sly and quite honestly this might be the best of the series just edging out First Blood. As I mentioned in other reviews by films written or co-written by Stallone is he’s a writer that clearly knows what his audience wants and he can also write a deeply powerful film. Rambo was written by Art Monterastelli & Sylvester Stallone and if there is a weakness the script might be it. 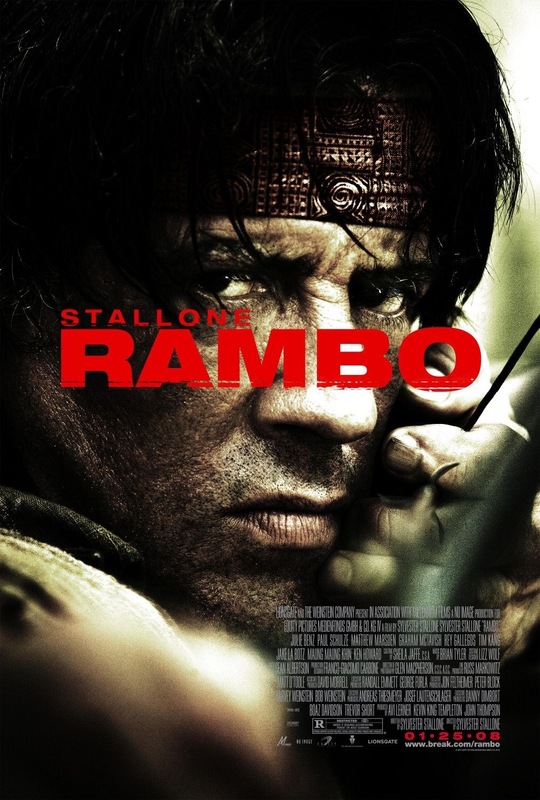 Now don’t take that the wrong way since Rambo has a fair enough script, but compared to other films written of co-written by Sly this isn’t one of his strongest even if still solid. 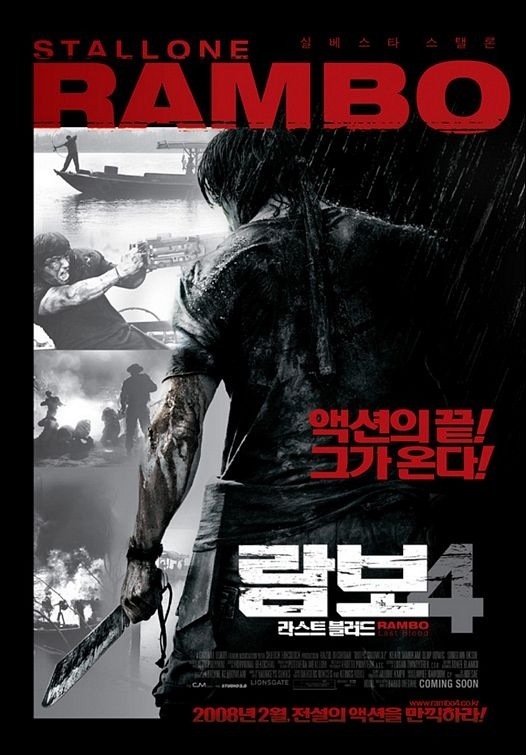 The plot is a bit light, but it’s an action film and this type a film can get away with that. From a character side of things they were fairly well done and while they do have a little depth some are a little clichéd. Regardless of some flaws Monterastelli & and Stallone still deliver a fairly well written film and while it may not be one of Sly’s strongest it still gets the job done. As director Stallone delivers one of the all time great action films. 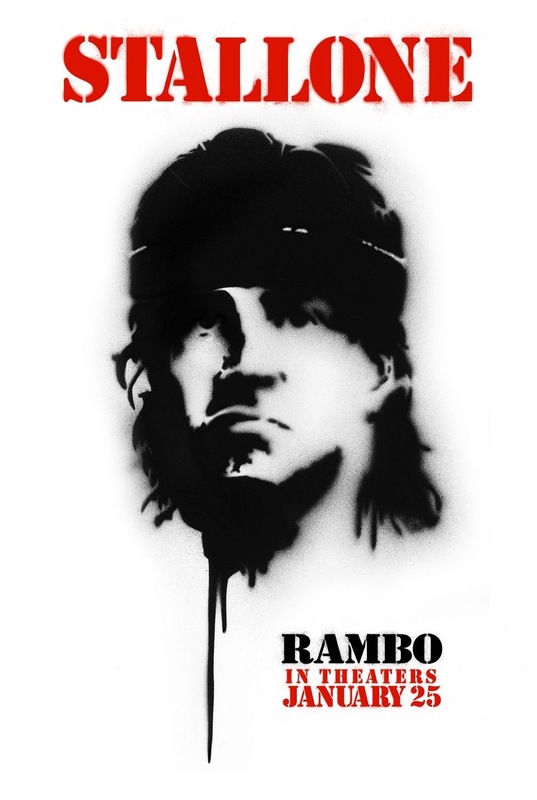 Of all the films directed by Sly I’d rate Rambo 2nd to Rocky Balboa, but in terms of directing Rambo has the edge. The pace is generally strong, but there a few slow moments, but these scenes also help set up the crazy stuff later to come. The violence is graphic and unsettling as well. Some of the violent acts by the Burma army are deeply disturbing and this really adds to the film. 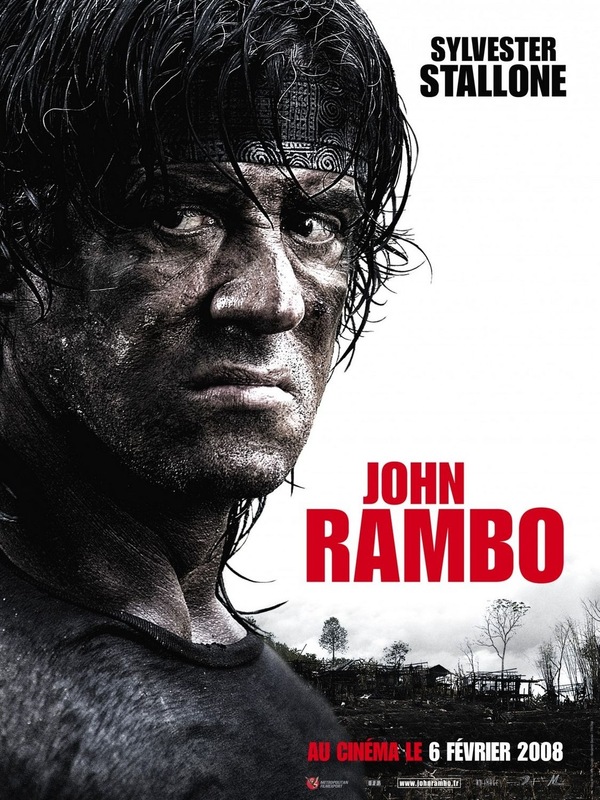 Rambo moves along nicely and is a good film, but the final act elevates the film to greatness. Stallone delivers some of the most violent and insane action scenes I’ve ever seen. Bullets rip off body parts, heads are blown clean off, throats are ripped out. It’s just insane there really is no other word to describe it. 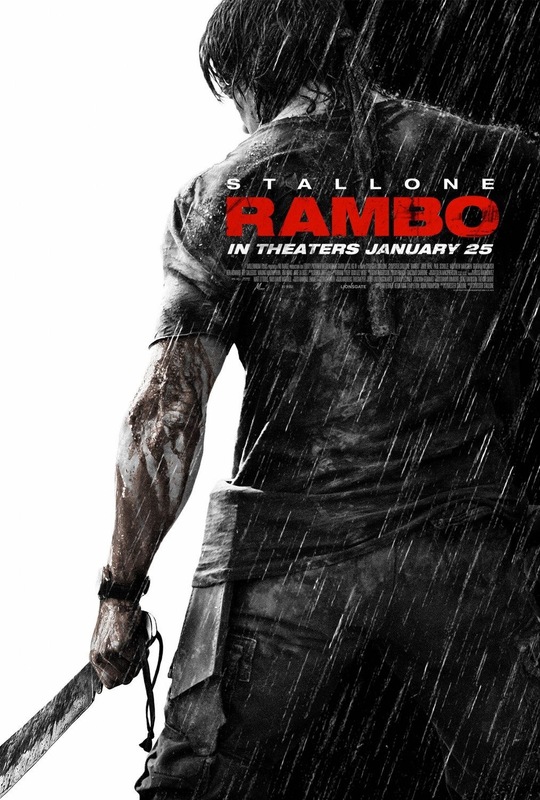 Stallone shows he has an eye for action and delivers an epic film. I’ve said in the past I find Sly a great filmmaker simply cause he knows what his audience wants, but with Rocky Balboa and than Rambo, Sly shows he’s a great filmmaker in the traditional sense as well. Rambo was released 30-years after Stallone made his feature film debut and not many filmmakers at that stage of their career make what is perhaps their best film, but Sly seems to be getting better with age. Rambo is disturbing, tragic, extremely graphic and when all is said and done, crowd pleasing. This was an amazingly directed film. Well done Stallone. Rambo is just again an insane film and I really don’t know any other way to describe it. This was by far the most graphic of the series and makes the other Rambo films look PG-13. Rambo at least in my opinion boarders exploitation film at times. Like I said the violence by the Burma army was truly unsettling and when Rambo goes on the attack its insanely violent and very much crowd pleasing. Stallone as Rambo is terrific I think what I love most about Sly as actor is he has this regular guy feel to him, which makes him far more relatable than most action stars. First Blood was Stallone’s best performance as John Rambo, but this performance is a close 2nd. 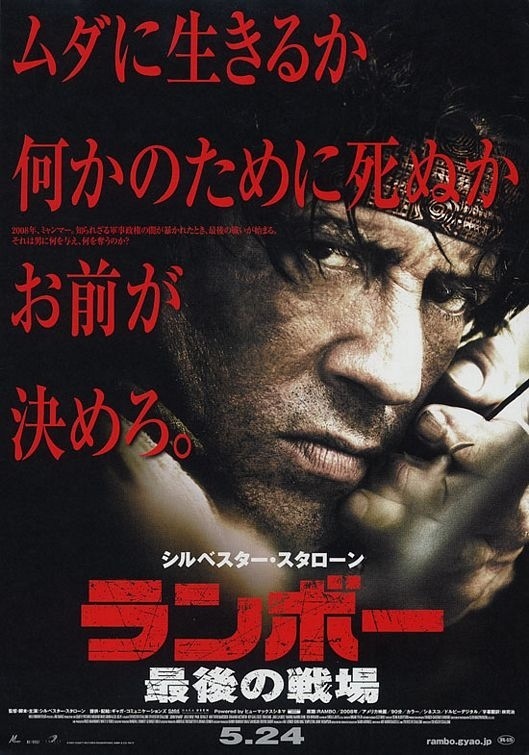 Overall Rambo is one of my favorite action films and was the perfect way to end the series while I did enjoy Rambo III this ended the series the proper way. Once again Sylvester Stallone proved here age is nothing but a number. While the middle sections can be a little slow (never boring) it’s all made up for in one of the craziest action packed final acts seen in an action film.